Description — 8vo (21.5 x 15.5 x 2 cm), (130) p., hardcover, slipcase, b&w illustrations on white paper, extensive bio-bibliography, and afterword by YAMASHITA Yuji, in Japanese. Laid in: bookplate and errata leaflet. Print run of 3,000 numbered copies. Signed by the artist in silver ink. 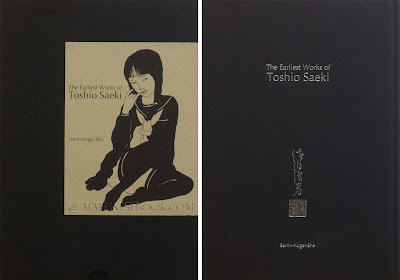 Remarques & avis / Review — A fine volume of SAEKI Toshio's fascinating first drawings. 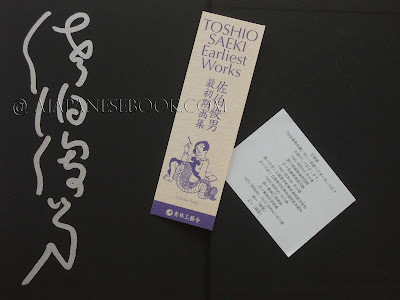 SAEKI Toshio. 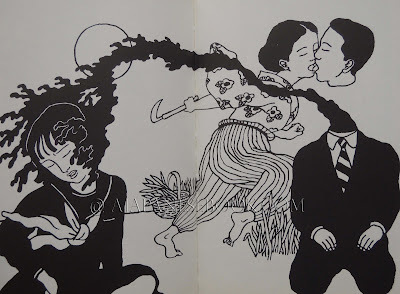 Les premiers dessins de Toshio Saeki. Tête-Rock Underground, 2006. First French edition, with one signed silkscreen print. 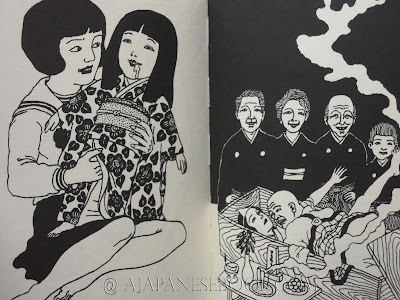 8vo (21.5 x 16 x 2 cm), (116) p., clothbound hardcover, b&w illustrations on ivory-color paper (thicker than the white paper of the Japanese edition), short bio-bibliography in French. Mint condition. Numbered edition of 120 copies. 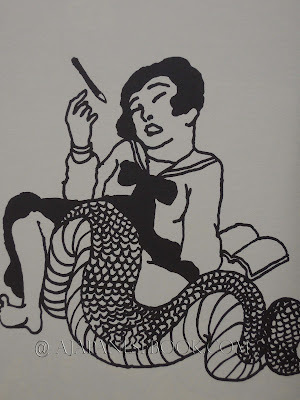 With a silkscreen print (20 x 14 cm) signed and numbered by the artist (not entailed in the Japanese edition).